Bali is so well known for its porky meals and their Jimbaran seafood. Those food are indeed super nice, but for those souls who hunger for more hearty food, afraid not, because Bali does offer a lot of healthy and organic food. One of if is Sari Organik, which located at Ubud. 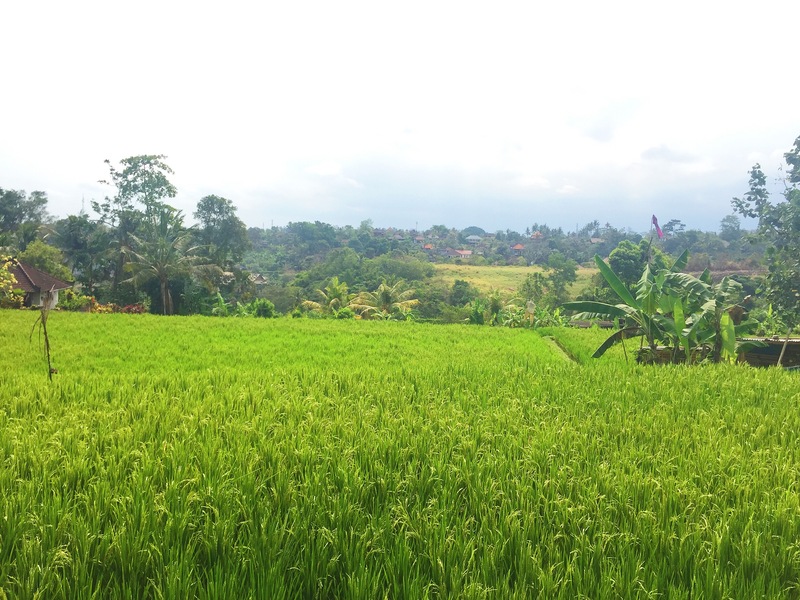 To go to this organic restaurant, we first must walk about 800metres from Ubud’s main road. The walk there is a bit hilly and narrow, so if you want to go there, take off your heels, and get your comfortable slippers / shoes. 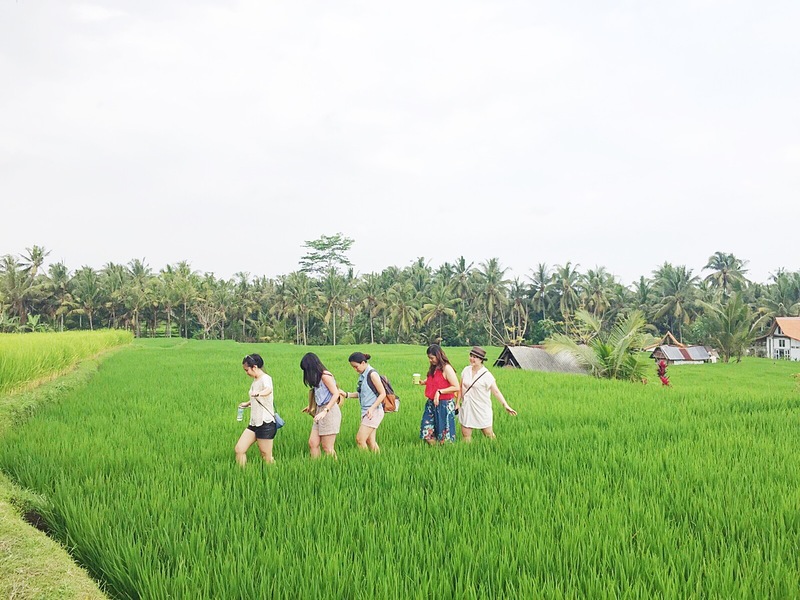 it took us about 20-30 minutes to go there, we walked up slowly as we enjoy the beauty of the paddy-fields, breath the fresh air along the way, see how clear the sky is, and of course, taking pictures is necessary since we dont get to see the nature often. Do take note that you have to be careful, as many locals are using motorcycle as their main transportation. And after a refreshing walk, finally we reached Sari Organik. Since all of us just ate huge breakfast, we first decided to share our food. But when we looked at the menu, we felt that everything there are very enticing. at the end, all of us ordered a menu and 2 juices for each. we felt like some buffalos that never drink for days. haha. Above are only one third of our order, we ordered a lot more than that until we couldnt find anymore place to put anything else other than food. I think, the food there is good enough for a non-vegan like me. I dont really eat salad and other organic things, but all the foods here are very edible even for a carnivore type of person. Personally, i like the feta salad and the Tempe on my Balinese rice. The salad are so fresh and yummy, and the Tempe are crunchy and simply tasty. 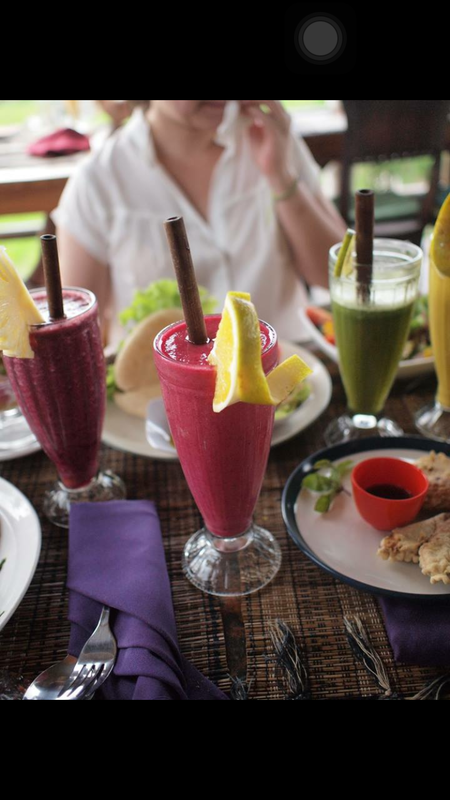 The price here are very affordable too, the foods are about Rp 30.000 – 50.000, while the healthy juices are about Rp 20.000 – 30.000. The place itself is very green too. 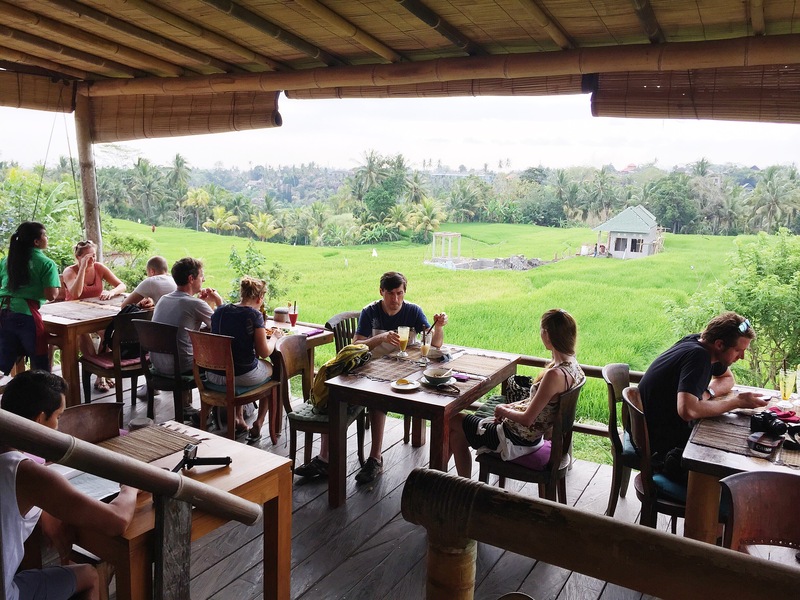 If you are looking for an affordable healthy food with a nice tranquil view, maybe it is one of the best option in Ubud. And for those of you who smoke, they dont prohibit you from smoking. But if other guest are disturbed, you will be encouraged to put it off as they want to keep a healthy environment as well. But afterall, it doesnt matter what the food is, and where is it at, as long as you have a great company!